* Shake it to refresh it, only when needed. 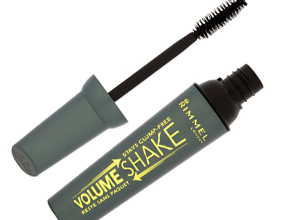 * First-to-market Shaker system inside the mascara refreshes the formula when needed to help prevent it from drying out. * Ultra-smooth, clump-free volume from first to last use. * The Volume Defining brush gives you a beautiful fan of lashes with maximum separation from corner to corner. I have always struggled with lumpy mascara. I put A LOT on and it seems that this product could go on smoothly as to the fact that you simply shake the bottle and not have the pumping and wiping off the brim effect. This mascara is awsome!! No more pumping the wand to get nasty bacteria in your tube, now all that you do is shake the tube, when you need to! And this definitely creates those volumptious lashes that we all love! Would love to try this product as I often struggle to find the right mascara. Most of them make my eyes scratchy.